The manufacturer overtakes Apple as the best-selling make of smartphone in the world, according to Juniper Research. Samsung has snatched Apple’s crown in the first quarter of 2012 as the manufacturer shipping the most smartphones across the globe. The figures come from Juniper Research, which showed Samsung sold 46.9 million handsets in the first three months of the year, compared to Apple’s 35.1 million. The two firms have regularly swapped places at the top of the table over the past year, but it is only now the research organisation believes Samsung has staked its claim as the number one manufacturer, and says it will take some shifting to knock it off the top spot. Despite the dominating lead held by Samsung, Apple is still making more money from its mobile division. Revenues from the iPhone alone reached $22.7bn in the first quarter, up to $29.3bn when the iPad was included. Samsung, however, only reached $17bn, even with the inclusion of both its feature and smartphones. The company will still be pleased with the numbers though, with the research showing it was Samsung’s move into the “mass market price points” with the likes of its Galaxy Y device boosting the numbers so significantly. Juniper says it shows the firm is heading in the right direction, as well as having its flagship handsets – Samsung Galaxy S II and Galaxy Note – bringing in large shipment volumes. The combination of Apple and Samsung accounts for almost 60% of the market when it comes to smartphone shipments, rising from 46% in just three months. Juniper’s research backs up a study from Strategy Analytics released last week, which showed Samsung had overtaken Nokia in overall mobile phone shipments. The figures showed Nokia had been knocked to second place with shipments of 82.7 million, while Samsung had sold 93.5 million in the first quarter of 2012. 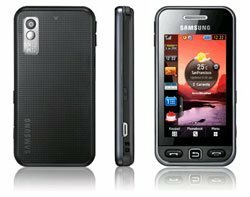 Apple was said to only have shipped 35.1 million in the three-month period, but it does not sell low-end feature phones like the two leaders.